When Calvin McBride travels north to help his aunt run a resort, little does he suspect the adventures that await him. On an excursion down the Blanche River with Willis Hamilton, Joel's Ojibwa friend, the boys notice signs of human activity at a long-abandoned Mine. Shubel Chase, an old hermit, living nearby, tells the boys he believes someone is dumping chemicals into the mine. Later that night Shubel Chase interrupts prowlers at the Mine and is knocked unconscious. The boys soon discover the seriously injured hermit and rush him to the hospital. In the meantime Calvin's aunt is becoming increasingly discouraged by these events, and considers selling the resort. Adventure and misfortune continue to follow the boys on their journey when they are almost killed by an intentionally lit forest fire. 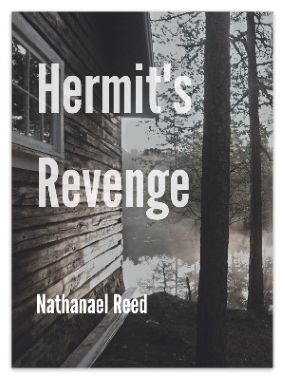 It turns out that the key to this mystery lies with the strange old hermit, and the boys realize that it's only through what this man reveals that they are able to unravel the mystereous events taking place at Baldwin mine.